So far this month we have covered the concept of gratitude and being thankful for the things we have. To go along with this concept, this time of year is also a good opportunity to teach kids the importance of giving. There are so many ways, big and small that you can give to make people happy. Whether it’s helping out with chores around the house, helping your neighbor shovel snow, or buying your best friend a present just because, it’s a fun way to spread the spirit of giving. Of course we also encourage the idea of paying it forward! We recently talked about entrepreneurship and teaching kids how they can be entrepreneurs and work hard to reach goals. 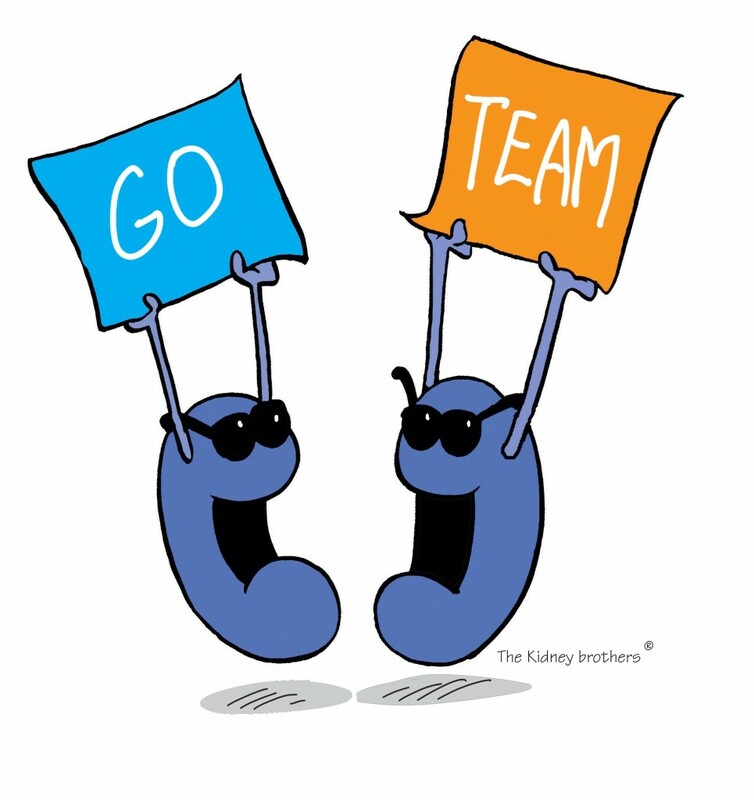 Today, The Kidney Brothers are celebrating the results of their hard work. This is a great way to inspire kids and show them that hard work pays off and that it’s a great idea to dream big, work hard and the results will show for themselves. Make sure and download the fun coloring sheet and also if you want the kids to do a little math this summer, grab the activity sheet as well. Use these to help remind kids to dream big and work hard! A little cash reward at the end of it is a great incentive and certainly a reminder that hard work pays off! Do you want your kids to be entrepreneurs? Better yet, you can have your kids be entrepreneurs AND be healthy! It’s no secret that The Kidney Brothers love water. So during the hot summer months, encourage the kids to have a lemonade stand with fresh-squeezed lemonade. Help them get their little business started and encourage them along the way. What a fantastic learning experience and a great way to teach about the importance of water. Make sure and download the coloring sheet and activity sheet below to inspire your little entrepreneurs! Last time we visited, The Kidney Brothers had regretfully made a purchase for themselves with their money, rather than buying something special for their mom on Mother’s Day! When they realized they had made a mistake, they spent a lot of time trying to figure out how to make it right. Sid and Kid share with us what they did for their mom and how it made her feel. Once Mom was appreciative and grateful for their meaningful gifts, they realized why doing the right thing feels so good. Make sure and download the coloring sheet to find out the special things they did for Mother’s Day!